Let’s face it. 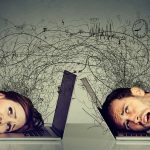 Executives and entrepreneurs are under a lot of stress at work. Project deadlines and delays, managing subordinates, filling orders…things can get heavy. Many managers are lucky to get through the day without being completely drained by the heavy and ominous load that they carry on their shoulders and a large majority of them see their faithful friend coffee as an essential part of keeping up with the pace. But many don’t know that while coffee, and more specifically caffeine, can stimulate your brain, it can also enhance your negative physiological responses to stress, possibly contributing to some chronic health issues in the future. A Gallup poll found out that about two-thirds of American adults drink every day on average 2.7 cups of coffee. The average worker has been shown to drink even more, averaging out at 20 cups per week. 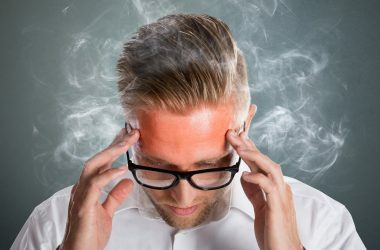 Caffeine does have its benefits when it comes to production, evidenced by findings from researchers at the Department of Psychiatry and Clinical Psychobiology at the University of Barcelona, who found that caffeinated beverage that contains sugar improve “cognitive performance in terms of sustained attention and working memory.” But at what cost? A study from the journal Health Psychology, the official journal of the Division of Health Psychology from The American Psychological Association, showed that caffeine consumption under occupational stress produced increases in serum cholesterol levels, blood pressure, and plasma cortisol levels. Some of you may know what that means and some of you may not. Let’s take a look! Cortisol is the bad boy of hormones. It’s nice to have around when you need it but when you don’t it can cause you some problems. Cortisol is released by the adrenal glands under periods of stress to enhance certain bodily functions that help you escape from danger, i.e. increasing blood glucose levels to provide energy to escape & enhancing your brain’s use of glucose so that you can think quickly. This may have served us well when we were traversing the African savannahs and needed to get away from a charging water buffalo. Or even today when that big guy at the bar has had a bit too much to drink and takes exception to your fedora. But cortisol is not meant to be in constant circulation as it is in so many of the general population as well as businessmen today due to our constant levels of stress. That is why it is important to try and keep blood cortisol levels even. Try to practice meditation or yoga to beat down stress and reduce cortisol levels. Another negative physiological response triggered by stress and caffeine was the increase in blood pressure among study participants. Most people are a little more familiar with the theme and risks of high blood pressure than cortisol. High blood pressure is known as the “silent killer” because it has no obvious signs or symptoms. It comes on slowly over time and most people don’t even know they have it. So we already have a one-two punch for heart disease with cortisol and HBP. 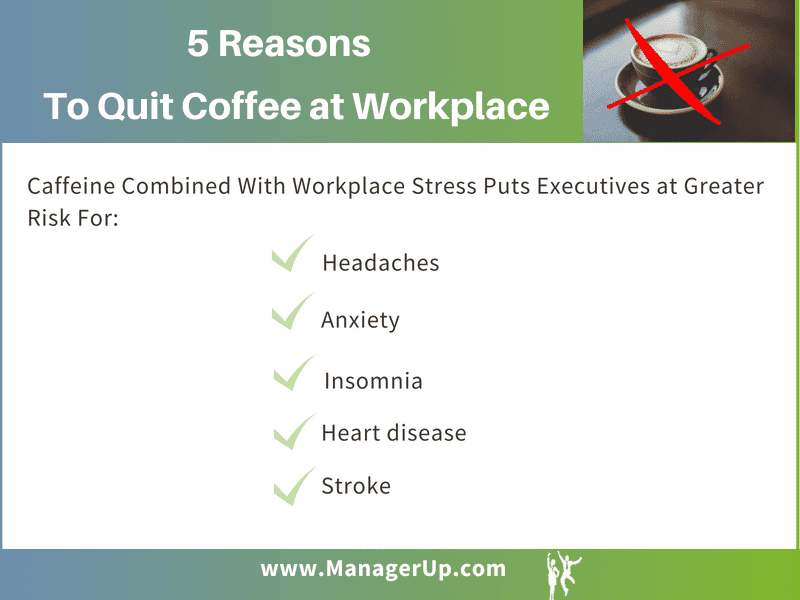 High blood pressure is dangerous and definitely something to be avoided for executives at all costs, regardless of how good of a cappuccino your office Nespresso machine makes! Study participants also saw an increase in their serum cholesterol levels but cholesterol has been a bit of a muddy topic lately. For decades a high cholesterol level was thought to be the leading contributor for cardiovascular disease risk. As studies and evidence came out the direct link began to become less clear and cholesterol was broken down into two types, LDL (bad) and HDL (good). It was thought that LDL cholesterols are bad because they build up in arterial walls decreasing blood flow or even completely blocking it to areas of the heart, all the while causing it to pump harder to try and deliver the blood. HDL cholesterols are thought to carry LDL particles out of the bloodstream and into the liver for other uses. But as doctors prescribed more and more statin medications to lower cholesterol levels and Americans ate less and less fat, our incidences of heart disease increased. In short, it was discovered that the elevated cholesterol was not causing the heart disease itself, but was an indication of a bigger underlying issue: arterial wall damage done by low-grade inflammation caused by chronic stress, high intake of refined sugars and other factors. The cholesterol merely acts as a patch for the damage. So, while it may seem on the cover that high cholesterol isn’t a concern, the chronic stress and poor diet that cause it is still a contributing factor to arterial damage and heart disease. So while an espresso may give you the jolt you needed to start your day, and a green tea may carry you through your afternoon, they can really decrease the quality of life for executives and entrepreneurs in the long run and put you at risk for some pretty nasty conditions. It doesn’t mean that you can’t ever enjoy the flavor and caffeine rush of your mocha late, just think of it as a treat or a reward for a good week of hard work. 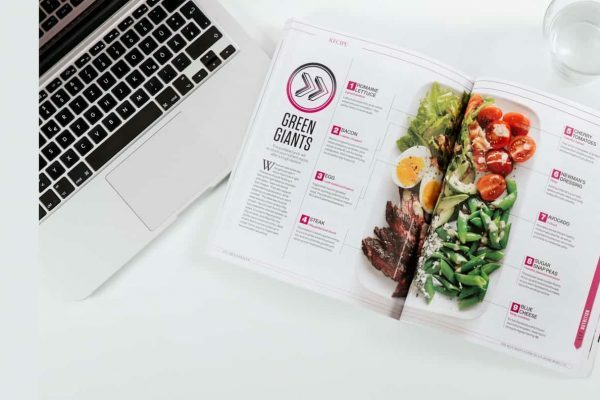 It would be a better idea to adopt dietary changes that give you natural energy and incorporate habits that help you cope with and lower your stress for your long-term well-being. Do you agree? Please leave a comment below. I am actually prone to anxiety so when I get overwhelmed at work or just in general, if I don’t cut back on my coffee, I end up having panic attacks! You are 100% right. While many people rely on it every morning across the world, it just only makes stress worse when things become heavy. I started using green tea as a replacement and while it still has caffeine, it is much lower. I eventually want to get it all out my system and do morning breakfast smoothies like my health guru friend.